is a comic successfully funded via a Kickstarter campaign! A comic book featuring fantastic new heroes and villains. I hope that adults enjoy the book, and read it to, and with, their kids. It’s not a retro, tongue-in-cheek book, just good solid heroic adventure for the whole family. Once all the backers have their rewards, it will be available on IndyPlanet. Written by Roy Johnson (Author of “The Standard Comics Encyclopedia (Abridged)”). Illustrated by David Bednarski (Artist of “Prisoner of None”). A one-and-done story featuring Optima, TNT Todd, UltraMan, Raven, Jill Trent, and the villainous Dreadhelm. 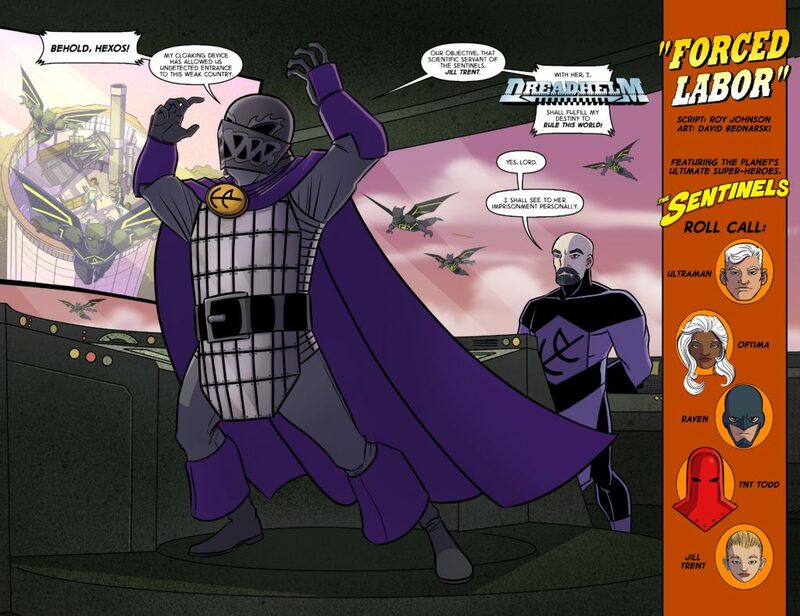 This comic features some of The Planet’s Ultimate Heroes, the Sentinels, in battle with Dreadhelm. This story, although it references as-yet unseen ‘past’ adventures, doesn’t require you to be familiar with them to enjoy the fun. 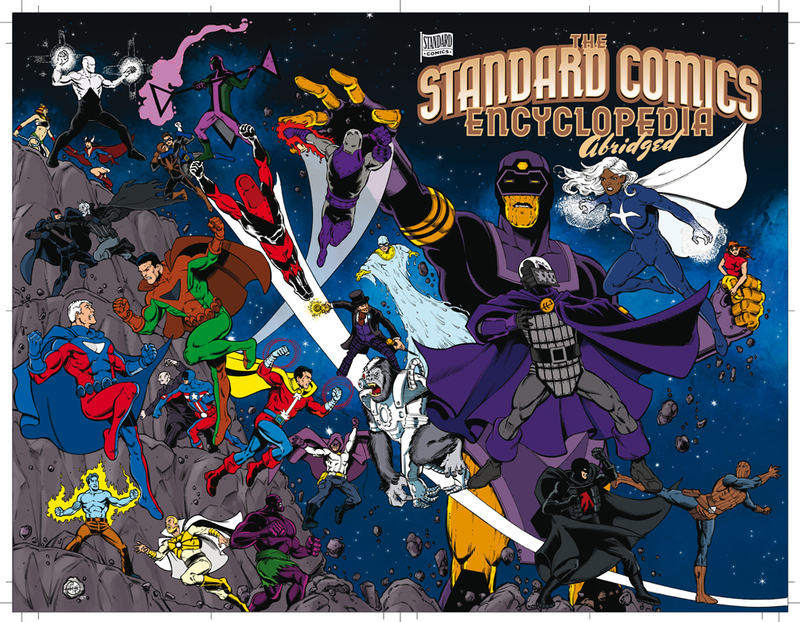 A 40 page Encyclopedia of some of the heroes and villains of the Standard Comics Universe. Art by a plethora of talented artists. It will also be one of the many great Kickstarter reward for the Sentinels “Forced Labor” comic above. 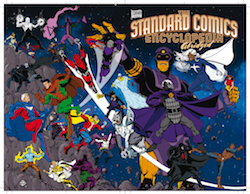 A 36 page second volume of the Encyclopedia of even more heroes and villains of the Standard Comics Universe. This edition will be also be a reward for the “Forced Labor” Kickstarter. 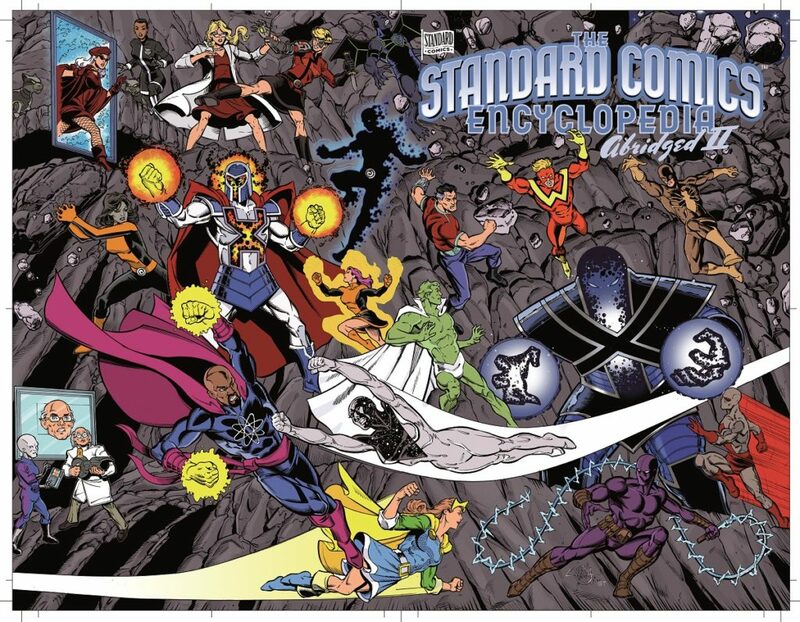 Coming soon from Standard Comics. 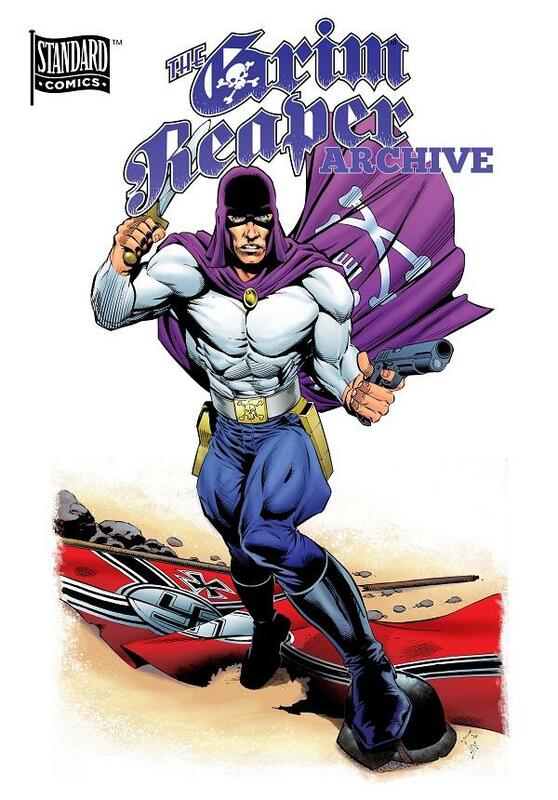 The Grim Reaper was one of the multitude of costumed super-heroes who debuted during the “Golden Age of Comics”. This archive collects all of his known appearances, with the exception of Wonder Comics #5 (someday …). Created by writer/editor Richard E. Hughes, he first appeared in Fighting Yank #7 (Feb. 1942). He was the cover feature on Wonder Comics #1-8, origin story in #2, and appeared in his own feature until #17 (1948). Aside from a single appearance in the one-shot America’s Biggest Comics Book, that was it — 19 appearances in total over a six year span. This collection is made up of digital scans from DigitalComicMuseum.com, a great online repository of public domain comics, check it out. Props to all the scanners (bhcomics, Chris Wallace loftypilot, movielover, ontology, rangerhouse, soothsayr, yocitrus) who prepared these files.